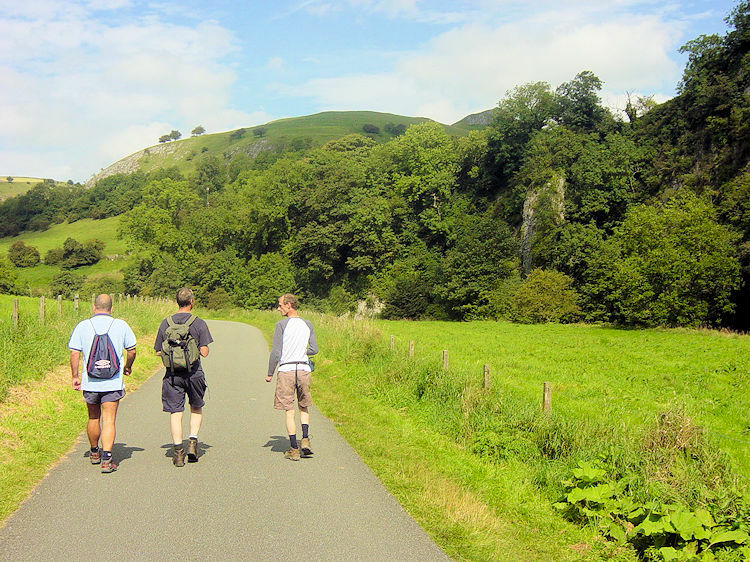 Summary: This was the first walk of a boys long weekend in the Peak District. I had to find a half day walk as we had all travelled to the area from different directions and planned to meet around lunch time. This was the perfect short walk with a lovely walk along the Manifold valley followed by a climb up Ecton Hill. 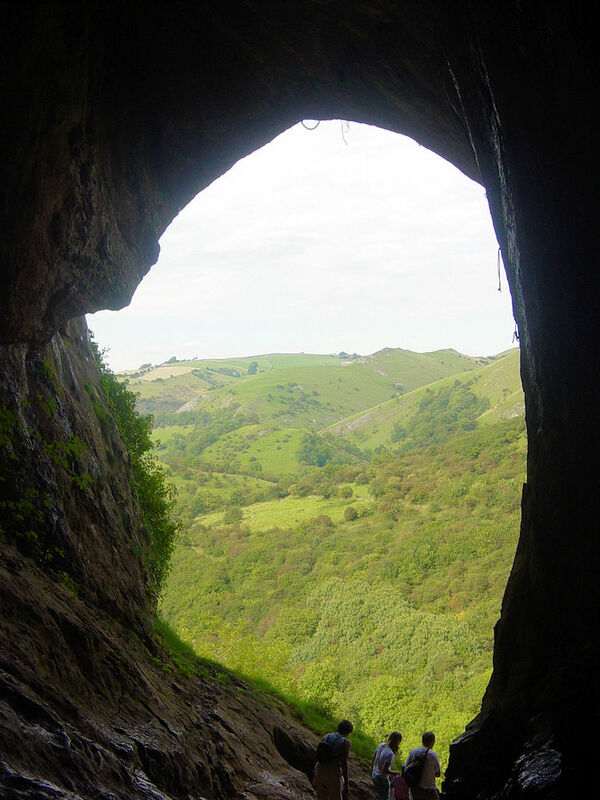 After the climb we crossed high country to Wetton and then explored the magnificent Thor's Cave before returning via a steep woodland descent to our starting point at Wetton Ford. The Walk:It was great to be out walking with the lads again. It was nine months since Dave, Steve and I had walked together and over five years since Joe had walked with the three of us! This long weekend in the Peak District had been planned for some time but it was only recently we had fixed a date. Since the date had been confirmed we had all been looking forward to meeting and setting off on our first walk. The fun started during the journey over. Dave and Joe had travelled with me from Leeds while Steve drove up from his home in Somerset. We arrived first so I rang Steve to tell him where we had parked up to meet. He replied "I am in a traffic jam in Stoke. Don't know when I'll be with you" so I decided to move towards him and meet just outside Leek. I rang him again to tell him where I was parked. He acknowledged. Then an articulated wagon parked up right behind me and knowing Steve would not see us I rang him again to tell him about the wagon. He answered "You must be bored, that's three times you've rung in the last half hour". At least he knew where we were. A short while later I received a call. "Just ringing to check you are ok Mike, we haven't spoken for at least a minute" said Steve. Soon after he arrived. Dave joined Steve and they followed me to the start of the first walk of the long weekend at Wetton Ford after I had inadvertently led them to Butterton Ford! After parking up at Wetton Ford we were finally walking and for an added bonus we were walking in glorious hot September sunshine. The spectacular weather was truly welcomed and ever the more delightful as the previous six weeks in England had been an absolute washout. We had feared the worse leading up to this walking weekend as one rain spell had led to another without little respite. We were to be blessed without rain for the entire break. I had planned all the walks for our Peak District weekend and due to the travelling this first walk was a shorter one at just six miles. When planning them I had researched books and the Internet, including asking people in a walking newsgroup. This first walk was a recommendation from the newsgroup with the highlight being a visit to Thor's Cave which was occupied as long as 10,000 years ago. 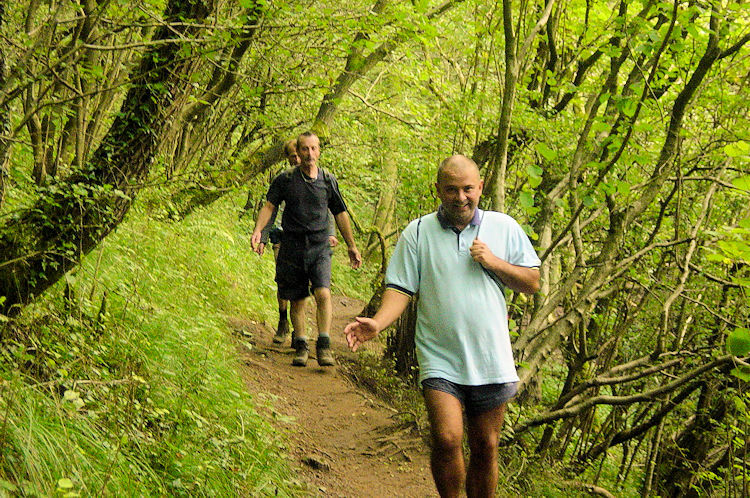 Before the visit to the cave we had some nice walking to enjoy along the Manifold Valley and over Ecton Hill. From our starting point at the car park near Wetton Ford we enjoyed a leisurely walk alongside the River Manifold to Wetton Mill and then to Ecton. This valley walk lasted for two peaceful miles except from the constant bombardment I got at the head of our convoy from Rose Hips and berries which were being launched by my colleagues behind. Most flew over my head but one or two annoyingly hit their intended target. Little gratitude for planning such a lovely walk! 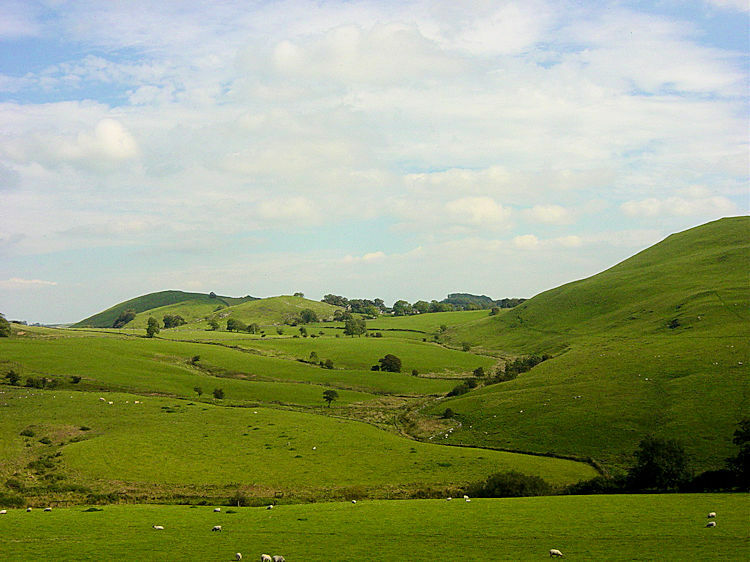 On arriving at the outskirts of the village of Ecton we left the riverside and began a steep climb to Ecton Hill. The salvo of hips and berries ran out as we approached a grand house part way up the hill. It was just as well as the guys now had to work on climbing the hill which was an ascent of 151 metres from the valley. It was not the most difficult climb we had ever done but climbing is never easy especially when it is the first after a break from exercise. Added to the difficulty of the ascent was Dave's problem with a developing leg problem which was painful during climbing, a problem which he coped with admirably during the walk. It did slow him down though but then we were not complaining. 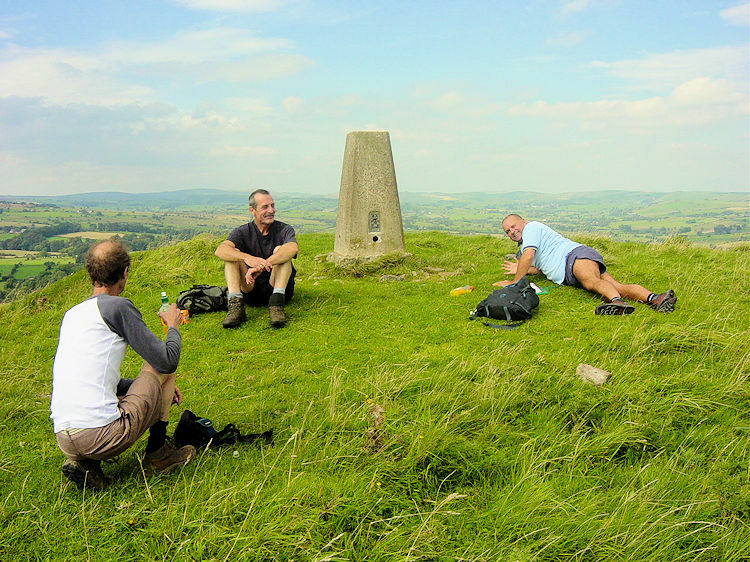 There was no rush and we stopped for a break at the trig point on Ecton Hill to admire the views of the surrounding Peak countryside. The views were super as it was a spectacular clear day. 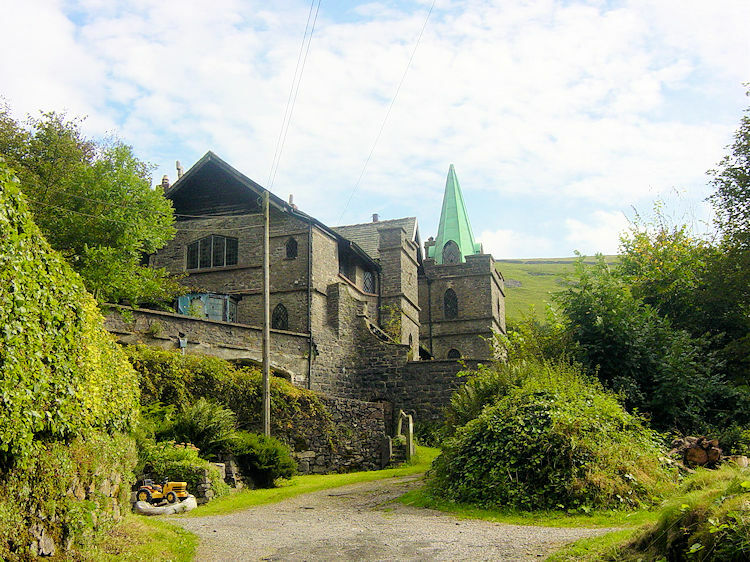 We enjoyed the scenery for a good while before leaving the hill and descending to the intriguingly named Top of Ecton before passing Manor House and then skirting the eastern edge of Wetton Hill. This route led us into Wetton where we cautiously walked down a lane past two angry muscle-pumped bulls who were not amused at our passing. These bulls we in fields either side of the narrow lane so we made sure we walked straight down the middle. I was not pleased when I noticed I had left my map on a wall about 100 yards up the lane. This meant I had to walk past the bulls again - twice! One of them. a brown one, was in a field with cows and seemed less agitated so I walked past on his side of the lane. The other one, a white bull, was in a field by himself, clearly annoyed and he roared angrily each time I passed. I was relieved to get back in one piece. After the drama we walked through Wetton down towards Thor's Cave. 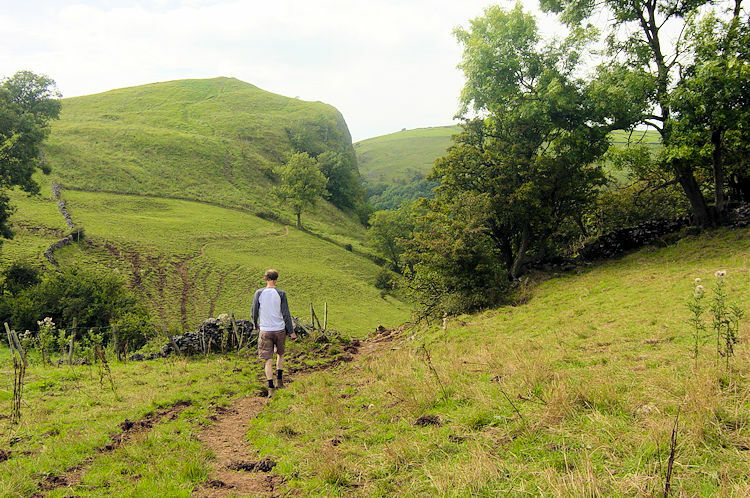 The walk from Wetton to Thor's Cave took us along a track and then through a field which had quite obviously been a quagmire not too long ago. Lots of walkers footmarks and hoof marks from the cows that occupy the field were up to a foot deep on the browned track but a few days of dry weather made our crossing to the mouth of the cave much easier as we walked along the top of the crust without breaking it. Then we made our way through a gate and to the cave entrance. Our first views of Thor's Cave were stunning. 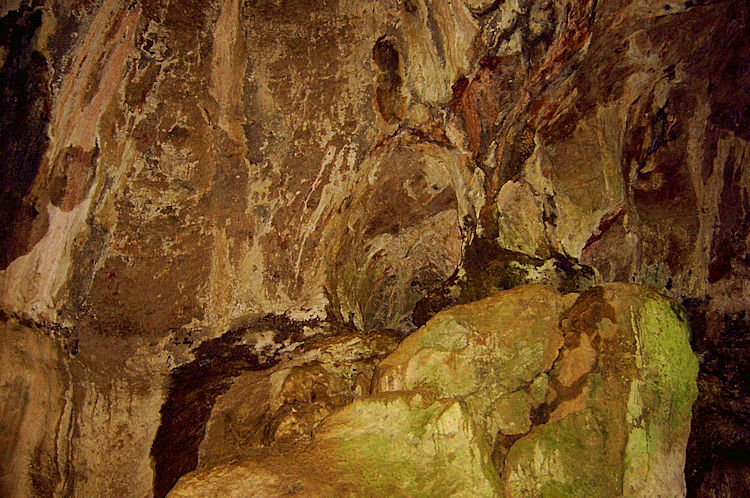 The entrance to the cave is wide and the top of the entrance about 30 feet high. We carefully walked up a large angled rock into the cave and began our exploration. It was spectacular inside Thor's Cave. My imagination wandered as I looked to a large open central area which elicited my thoughts on making the cave a unique event arena as there was enough room to hold a small concert in the cave. At the rear were dark openings to our left which we explored. To the right there was an open gully which led to the outside. Could it be explored outside? 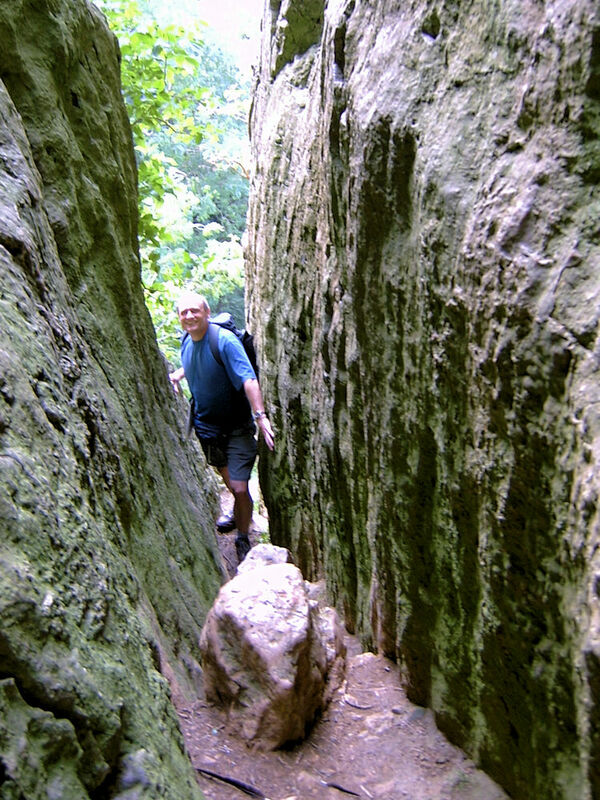 I walked through the narrow gap to the edge slowly and then stopped short of a sheer drop. 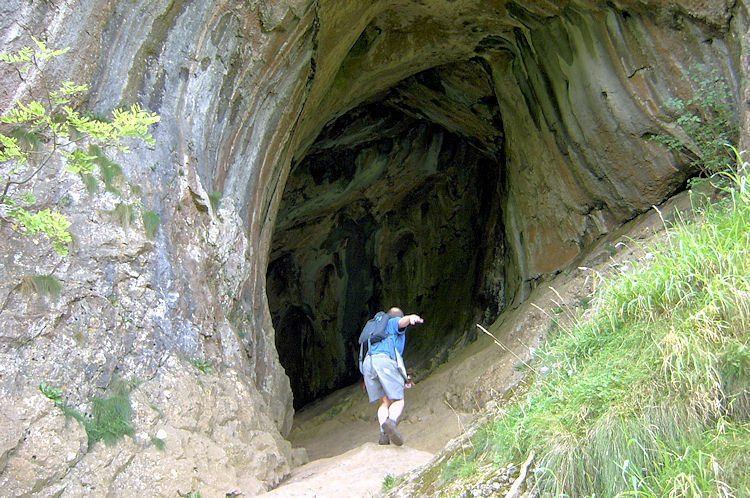 There was no exit to be had so I shuffled back into the cave the way I had came. Back inside I explored some more, as did Dave while Joe and Steve sat looking around the splendour of the cave. We stayed for a while inside Thor's Cave marvelling at the sight and in particular the rich array of mineral colour glistening from the rocks. Reluctantly and after what seemed too short a time we left Thor's Cave through the entrance from which we had entered. We then walked steeply down woodland steps back to Manifold valley. We guessed how many steps there would be. Steve was the closest with a guess of 210. We agreed a concensus of 214. The four of us then ambled along the Manifold Way back to the cars. This had been a great six mile walk. We looked forward to the rest of our walks in the Peak District. If they were as good as this then we were in for a good time. We had all been thoroughly impressed with Thor's Cave.